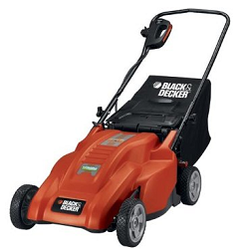 Which Lawn Mowers are the Best under 200 dollars in 2013? To save you time when shopping for a new lawn mower, here are some of the top-rated best selling affordable mowers under $200. In this article, I have compiled some great budget lawn mowers that will work for most grass cutting scenarios, and hopefully last you a long time as well. With summer coming around at the speed of light, you should consider investing in one of these machines that will help you keep your yard looking crisp and clean. 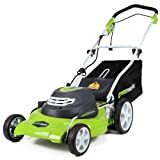 These lawn mowers are frankly the best money can buy in this price range and making mowing lawns an easy and fun job to do. What I love about the Fiskars 6201 18-Inch StaySharp Max Push Reel Lawn Mower is its simplicity. This is an affordable and high quality product that does not run on electricity or gas power. It is a standard push mower with an exclusive cutting system that allows you to trim your grass without the hassle of a heavyweight machine. This machine can made yard care easier. No longer do you struggle to start up and push a gas mower. All people have to do is take out this machine and start pushing over their lawn. The simplicity is the major reason why I deem this to be one of the best lawn cutters on the market. Additionally, the high user rating is also an added plus signifying that this machine is absolutely wonderful to own. The Black & Decker MM1800 18-Inch 12 amp Corded Electric Lawn Mower is a great alternative, especially if you have a relatively small to medium sized lawn lot. While I generally would suggest the cordless model, which runs on a battery, this is a great and affordable alternative because it does not die out when you are mid mow! This is simply because it does not run on gas or a battery. Just plug it in and get your work done. This is actually an easy to use effective mower outside of the cord component, and may be worth investing in if you can work with a cord. 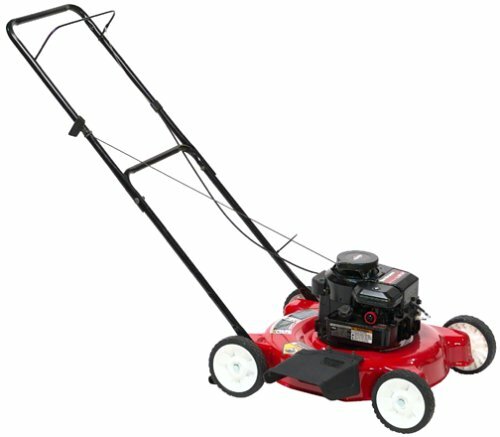 Another mower I can suggest is the Yard Machines 11A-020B000 20-Inch 148cc Briggs & Stratton Mulch/Side Discharge Gas Powered Push Lawn Mower. This is a great gas powered lawn mower that will be sure to bring your lawn into line and help you maintain your yard easily. According to reviewers, this lawn mowing equipment is one of the best you can buy because it is durable and long lasting. One reviewer has owned it for over 5 years. This product is an excellent bargain at this price range. Greenworks produces lawn tools that are Earth friendly and economical. Reviewers rate this on Amazon 4.5 stars by almost 100 satisfied users. The manufacturers of this top rated lawn mower boasts their product to be zero carbon print compliant which means it doesn't produce any carbon emission that may contribute in global warming. This can be a space saver when it comes to storage since it can be conveniently folded with its easy cam lock system. The height adjuster gives you 7 options to choose from for different grass types. It has a 4 year warranty on parts and labor so you are getting the best deal out from this product. It is available for just around $190 on Amazon. For those who don't like big-bulky mowers and live in an urban area, this one is definitely perfect for you. It is the smallest lawn mower on the market today that is ideal for small front and back yards. It is powered with a 12 amp electric motor and weighs only 29 lbs. This can be easily stored and doesn't consume that much space when stored. This compact mower is 13 inches wide which is enough for a decent lawn and is pretty much user friendly. The grass catcher makes your regular lawn chore a breeze since you don't have to deal with extra time in taking out the mowed grass. All of these for just under 200 dollars. 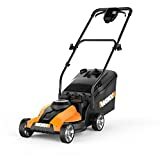 Customer reviews gave this a 4 star rating on Amazon that's why we have included this lawn mower from one of the best lawn mower companies, Worx. For just around 200 dollars you can mow up to 6,000 sq. ft. or 2 tennis courts in one charge. Mulching, bagging, and rear discharge all happens in this lawn mower that makes this chore fun. It is lightweight and easy to push covers a 14-Inch width cutting area so you can finish the job and maximize your time for the day. It runs on electricity so there will be no gas, oil, pollution, and now comes in a cordless model. You can lawn for up to 30 minutes in a single charge. Ready to shop for your new mower? So, which lawn mowers are the best under $200 dollars? This information is to a certain degree very subjective. However, after much careful research and analysis, I have concluded that the three products highlighted in this article are some of the best you can purchase for your money. This is, of course, based on the fact that users and critics alike have given these lawn machines high reviews. Not to mention, any rational consumer cannot ignore the significant popularity of these grass and lawn care appliances. I expect that you will find what you were looking for in one of these lawn mowers for sure.